The Snob as his alter ego, Music City Mike, and The Kid made their second annual trek to Louisville to spend a weekend at the incredible Forecastle Music Festival. While the music scene in this great city never disappoints, The Pizza Snob still struggles to find good pizza there. We usually spend our days in hip Bardstown Road’s coffee shops, restaurants, and shops. 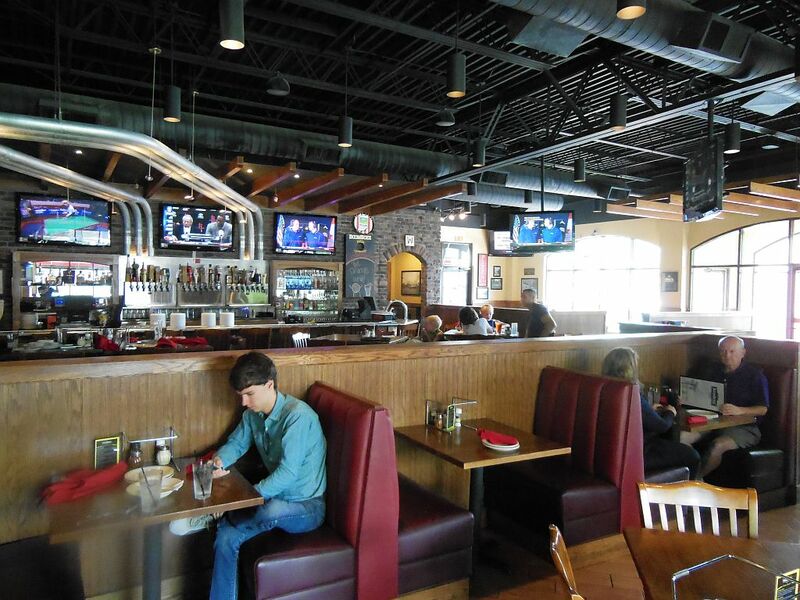 This Saturday afternoon, we visited the BoomBozz Taphouse location on Bardstown Road for lunch. 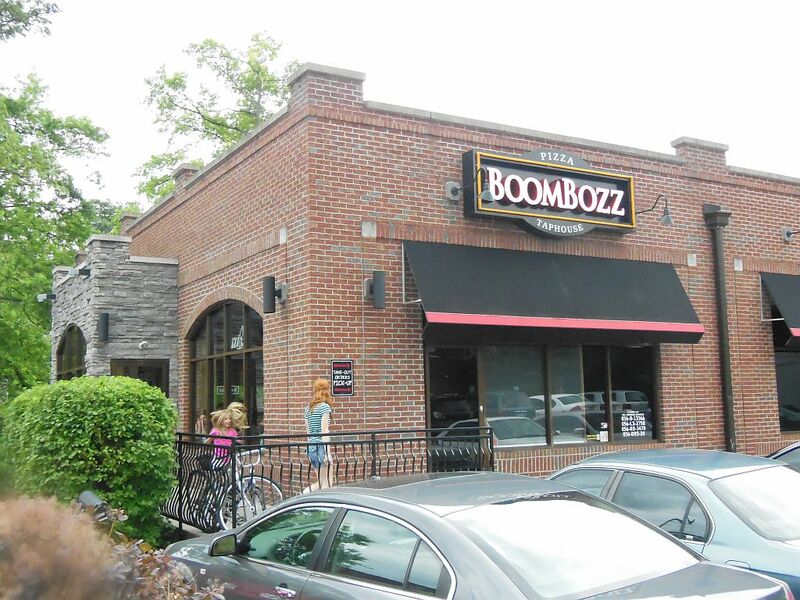 BoomBozz began in 1998 as a single local joint called Tony BoomBozz Pizzeria. There are now two BoomBozz Taphouse locations in Louisville plus ones in Arizona and Indiana. According to their website you can plunk down 30 large for franchise rights to their recent reinvention. Set back a bit from the street, the place is located in a free-standing, newly remodeled brick building. There was table seating both inside and out in addition to an extended bar and an enclosed party room. Nice digs. It was obvious at first glance that Tony’s one-time pizza joint morphed into an upscale sports bar that also serves pizza. Unfortunately, in the process they traded in a classic pizza joint name for a rather lame one. The Taphouse menu is pizza-centric. They offer their pizza in four types of crust (traditional, thin, wheat, or gluten-free). Noticing what was being delivered to some other tables, the Snob balked at their interpretation of tradition and went for the thin. Besides also peddling their beers, they serve some appetizers, salads, subs and a limited pasta menu. Although slices were not on the menu, we were told they were available. Since the Kid said he wasn’t too hungry we decided to go for slices and salads. When I asked how big they were the waitress simply said “pretty.” Stalling on whether to order one or two, she said it didn’t matter since they would be making a whole pie anyway. The slices looked nice and thin like they were advertised with an obvious sprinkling of parm and a few scant basil leaves atop the mootz. While the slice was fresh and tasty–notably the oil and tomato sauce– it failed miserably at the crispness test. It was chewy without any crunch, and my slice had no support at all. I really couldn’t tell whether cooking it more would have improved it, or if the issue was the makeup of the crust. I first thought about cutting it in half, but finally settled on folding it over so I could stuff it in my mouth. We left a bit disappointed taking away a nasty aftertaste from the parmesan add-on. Driving back to Forecastle, the Kid summed it up best saying, “What did you expect from a sports bar?” The Snob’s search for great pizza in Louisville will have to continue. 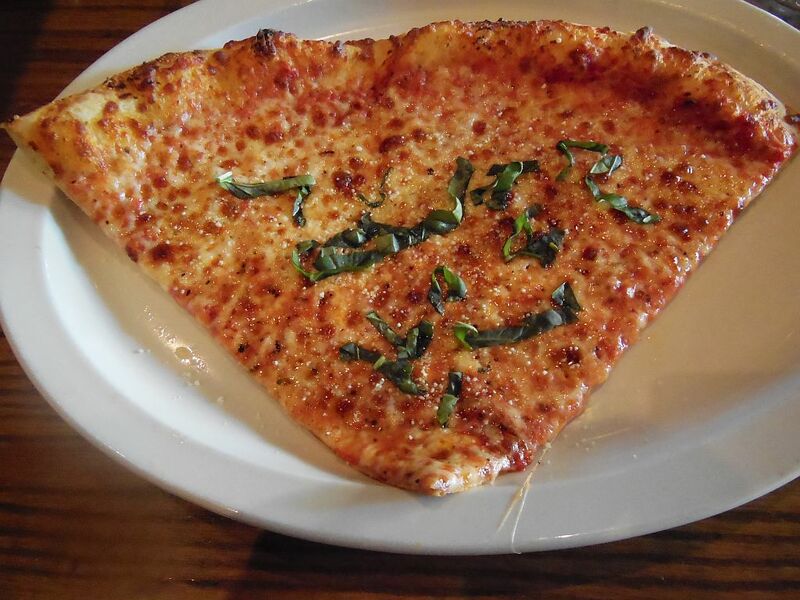 ← Mama’s Pizza—The Best in Fort Worth? No Way!